Sierra Automated Systems announces its new Stratos broadcast operations console will debut at the 2019 NAB Show in Las Vegas. The Stratos Console line is built to exceed the expectations of today’s broadcasters with support for all audio and visual elements that come from today’s modern radio environments. Competitively priced and available in multiple channel form factors, the Stratos is the next step in console evolution. Stratos Lead Designer Rey Montañez stated, “As Broadcasters continue to invest into social media platforms, podcasts and live streaming, the technology at their fingertips must evolve to satisfy new needs. The Stratos provides a simplified surface to control visual and audio elements simultaneously, increasing productivity and quality of programming. Be the first to see the Stratos and the rest of the new products being unveiled by SAS at the NAB Show in Las Vegas at Sierra Automated Systems’ booth N6520 in North Hall between April 8 and 11. 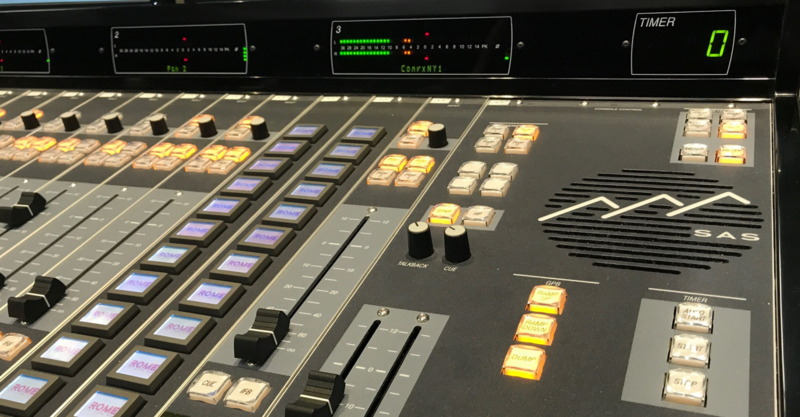 To get more information about the Stratos console or to schedule a demo at NAB 2019 e-mail Press@SASAudio.com. In honor of Elvis Duran being inducted into the National Association of Broadcasters Hall of Fame this evening, Sierra Automated Systems has presented Premiere Networks morning host Elvis Duran with a gold “Hall of Fame Edition” iSL console. 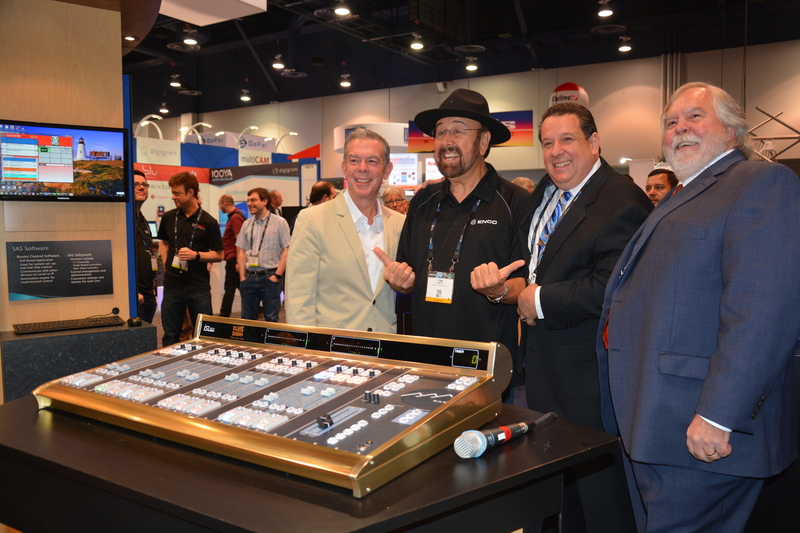 During the special event at the Sierra Automated Systems booth, SAS President Ed Fritz and Vice President Al Salci were joined by Duran’s fellow Hollywood Walk of Fame recipient ‘Shotgun’ Tom Kelly to present the special “Hall of Fame” edition console. Duran recently celebrated his 25th anniversary at iHeartMedia’s Z100 WHTZ New York and has had a legendary career that spans nearly 40 years including earlier successes programming WIOQ Philadelphia and KBTS Austin, afternoons at Z100, and evenings at Z93 Atlanta. SAS is used extensively throughout iHeart’s flagship facility that houses 6 broadcast stations, Premiere Networks operations, and iHeartRadio channels. SAS technology powers an Audio Distribution Network of over 10,000 channels and over 50 networked consoles. In addition to the special edition console presented to Mr. Duran, SAS is debuting two new products at the 2018 NAB Show. The Nucleus Advanced IP Engine is the latest fully integrated DSP based engine from SAS. The Nucleus Advanced IP Engine operates as a complete stand-alone audio console engine and utilizes an IP network infrastructure to interconnect and interoperate with other Control Rooms, Consoles and Engines. Additionally, interconnection to the SAS32KD is simply accomplished using the same AoIP Network where high demand I/O capacity is required. The small footprint engine is designed to fit in any control room and provides all functions necessary for any broadcast operation. 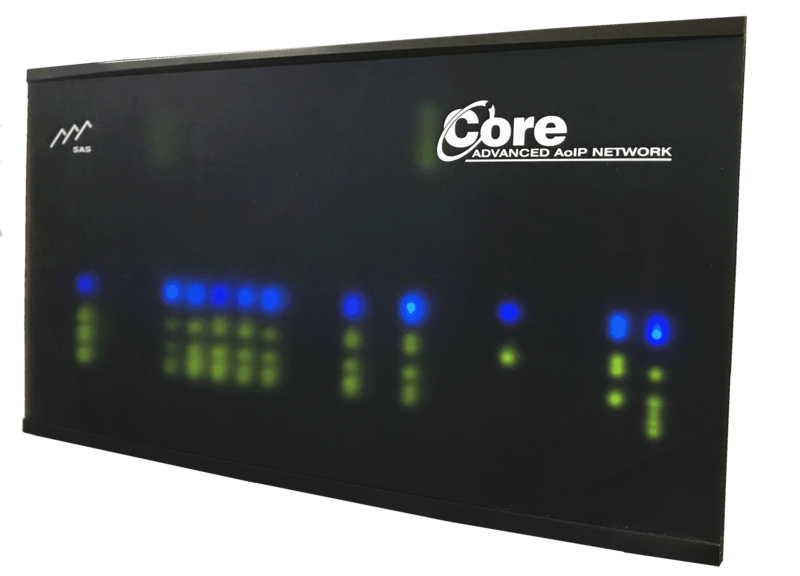 Utilizing Open Media Protocols such as Dante, AES-67 and AVB the Nucleus connects to more third party devices than any other AoIP system. Nucleus features seamless integration with all automated playback systems including Wide Orbit and iAutomate. SAS is also revealing the newest reimagining of its popular Rubicon audio console line. The R2 is the culmination of years of discussion with many top on-air personalities and engineers who have used the Rubicon daily for many years. The R2 features new LSI devices, IC’s and controllers and top of the class advanced metering, with selectable Standard VU and BS-1770 LU Meter ballistics. The R2 come with LED displays standard and upgradeable to OLED high resolution displays and in multiple anodized polished colors. And all of these upgrades come at a new lower price point. 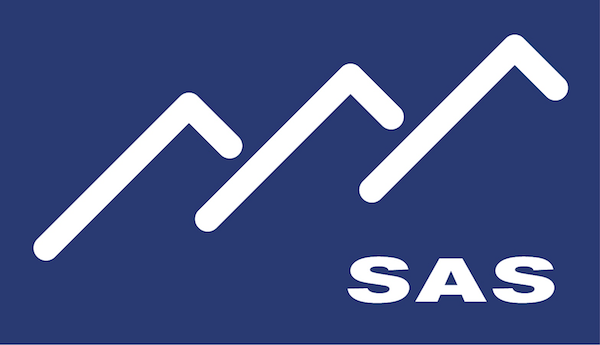 SAS will be showcasing the Nucleus Advanced Audio IP Engine, R2 and all of their best of class products including the 32KD router, ICM32 intercom, and iSL console at the 2018 NAB Show at their booth at N6816 in North Hall. Sierra Automated Systems continues its tradition of building innovative solutions for broadcast operations with the debut of two new cornerstone products. Sierra Automated Solutions has also launched the first phase of its new website at SASAudio.com. Developed in partnership with RadioBB Networks the website currently spotlights all of the products to be shown at the NAB Show and will soon become home to a social community built around SAS products and usage. SAS will be showcasing the Nucleus Advanced Audio IP Engine, R2 and all of their best of class products including the 32KD router, ICM32 intercom, and iSL console at the 2018 NAB Show at their booth at N6816 in North Hall. The company will be holding a special event on Monday, April 9 at 12:00pm where they will present legendary morning host Elvis Duran with a gold plated custom monogrammed “Hall of Fame Edition” iSL console in honor of his induction into the NAB Hall of Fame.